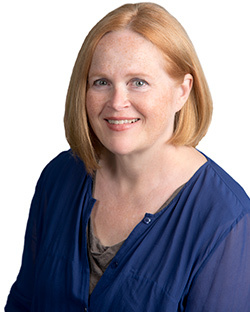 Home › Faculty & Staff › Drummond, Susan G.
Professor Susan Drummond joined Osgoode’s faculty in 1999, and specializes in the areas of legal anthropology, comparative law, civil law, family law, and wills and estates. She was the first student in Canada to graduate with both a civil and common law degree as well as a Master’s in Social Work. She has a doctorate in law from McGill University. Her BA in philosophy and her postgraduate Diplôme d’Etudes Approfondies from the Université d’Aix-Marseille, specializing in legal theory and legal anthropology, make her a truly interdisciplinary scholar. Beyond her publications in scholarly journals, she has published three books, Incorporating the Familiar: An Investigation into Legal Sensibilities in Nunavik, based on fieldwork on the interactions between state and non-state criminal law sensibilities in Inuit communities in northern Quebec; Mapping Marriage Law in Spanish Gitano Communities, based on field work on non-state family law in Andalucia, which won the Canadian Law and Society Association/Association canadienne droit et société 2006 Book Prize; and Unthinkable Thoughts; Academic Freedom and the One State Model for Israel and Palestine, based on fieldwork on the intersections between politically controversial ideas and the Canadian academy, was published in November, 2013. Professor Drummond is currently engaged in an extensive, fine-grained ethnographic study of elder law, elder financial abuse, and estates and trust law and litigation in Ontario, with a focus on legal practice, legal ethics, and legal professionalism in the associated bar. Graduate Research Supervision (LLM, PhD): Professor Drummond is interested in supervising students proposing interdiscplinary research in a variety of substantive areas, including legal anthropology, comparative law, civil law, family law, and wills and estates.